As a rule, I’m more than a little sceptical when hotels, restaurants, and bars actively advertise that their establishments are haunted. Mostly because they feel by doing so it may bring in customers expecting to be entertained by their resident ghosts. With that being said, there are a handful of businesses that deliver on their paranormal promises. And, The Minerva Inn in Plymouth, Devon, is one such place. 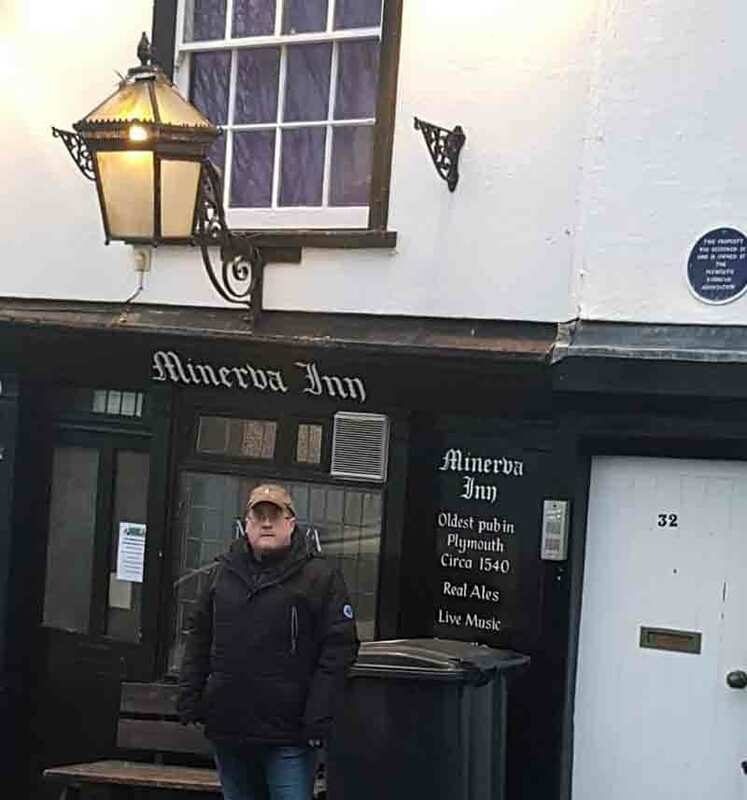 The Minverva Inn in Plymouth is worth visiting for a drink and a laugh, and a chance to check out its historic ghostly atmosphere! The Minerva Inn got its unique name from Minerva the daughter of Jupiter and Metis. Minerva was the divine patron of warriors, poetry, and medicine. The Inn was opened in 1572 (or 1540s depending on who you ask) and is Plymouth’s oldest continually operating public house. Before then, it was a sea captain’s house and later a seamen’s rest. For several centuries the Inn was a relatively safe place to drink and carry on with their fellow sailors. All that changed in the 18th century when it became a popular hunting grounds for ‘press gangs’. These press gangs would watch from the shadows as local, able bodied men would drink their fill and pass out intoxicated. They would then abduct them and spirit them away down a subterranean tunnel that still exists today, to work on awaiting Naval vessels. 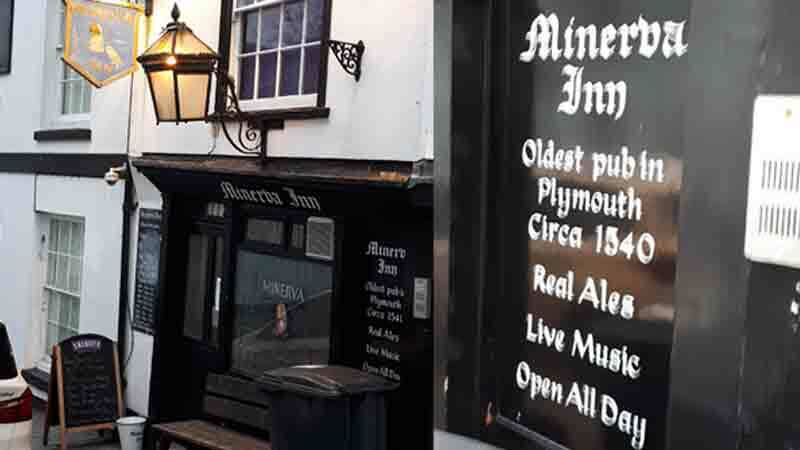 The Minerva Inn takes a great deal of pride in being Plymouth’s oldest public house. Offering up drinks with a warm smile and plenty of stories of the supernatural activity that occurs there every day. And they have more than enough ghost stories to go around and keep patrons coming back for more. The ghostly image of a man known as Henry, has been witnessed in recent years on the first floor of the Inn. 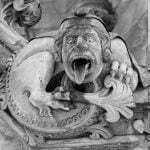 He has stunned many employees and patrons by suddenly appearing, taking a stroll around the bar, and then he lets out a bloodcurdling scream sure to chill anyone to the bone. Several theories have been offered to try and explain who Henry was in life. One of those being that he was a man who put up a fight with a press gang and met his fate at the business end of a dagger. Something that commonly happened with press gangs and an intended mark. With the Inn’s history of of catering to hard drinking sailors who came to shore other forms of entertainment were not far behind. Prostitutes were a common fixture of the Inn and their business was to show sailors a good time. This may explain the sightings of five phantom prostitutes that appear sitting at a table under the dartboard by the original entrance. When they appear, they sit at the table talking amongst themselves and flirting with sailors long since passed. The apparition of a little girl in a Victorian dress has been witnessed in the bar area. Staff have watched in stunned disbelief as she enters from a wall and draws water or beer from the bar into a bucket and vanishes. No one can say with confidence who she was in life. But, she is seen frequently carrying out her chore. Over the years landlords have reported activity not typically attributed to the ghosts regularly seen at the Inn. Spoons have been seen being lifted off the table by unseen hands. The gas in the cellar is turned off and the Jukebox is inexplicably turned back on and plays after being turned off. If you’re looking for a history lesson of the area, Plymouth’s Minerva Inn is the place to find it. Not only do their ghosts make it come to life, but pictures of the streets prior to The Blitz hang on the walls. Wood beams from a Spanish Armada ship also adorns the walls. And the lounge area is dedicated to their namesake, the goddess Minerva. Have a drink and a laugh with the ghosts at The Minerva Inn in Plymouth.